Saudi Crown Prince Mohamed bin Salman said late Friday that he is ready to allow Turkey to search the Saudi consulate in Istanbul for journalist Jamal Khashoggi who disappeared this week. Khashoggi, a contributor to the Washington Post, went to the Saudi consulate on Tuesday to receive an official document for his marriage and has not appeared since then. His Turkish fiance reported him missing after the journalist, who has lived in self-imposed exile in the U.S. since last year to avoid possible arrest, was not seen after he entered the consulate on Tuesday afternoon for marriage procedures. 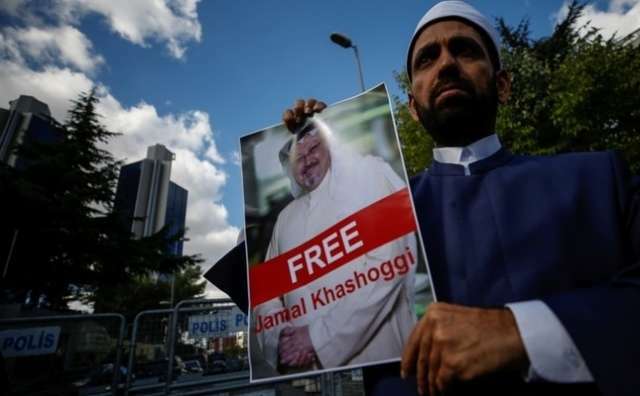 After an initial period of silence Saudi Arabia said the consulate was working with Turkish authorities "to uncover the circumstances of the disappearance of Jamal Khashoggi after he left the consulate building". Turkish presidential spokesperson Ibrahim Kalın, however, told reporters on Wednesday the journalist was being held at the consulate, adding that Ankara was in touch with Saudi officials.